Game Freak director Junichi Masuda has revealed Salandit at Japan Expo 2016, a new Pokémon that will appear in Pokémon Sun and Pokémon Moon. 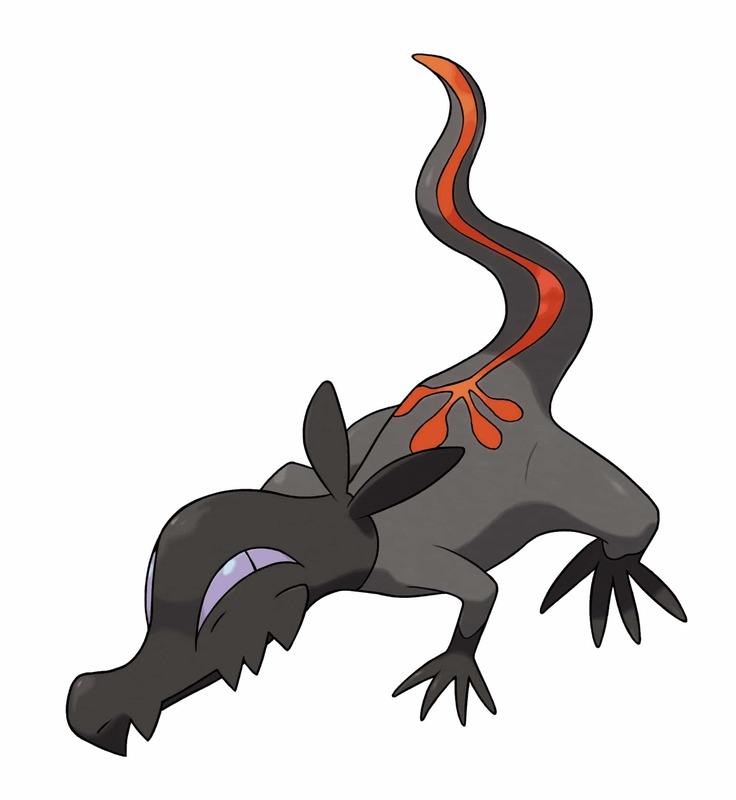 Salandit emits toxic gas, together with flames, from the base of its tail. This poisonous gas has a sweet smell, and anyone who unknowingly breathes it in will become dizzy. Salandit is not a very powerful Pokémon, but its cunning nature allows it to battle fiercely by throwing its opponents off balance. Salandit females not only release toxic gases, they can also emit pheromones that attract males of all species, including Pokémon and humans. Inhaling these pheromones may cause opponents to be controlled by Salandit’s will. Salandit has the Corrosion Ability, a new Ability that no other Pokémon has possessed before. With the Corrosion Ability, it becomes possible to inflict the Poisoned status condition even on Steel- and Poison-type Pokémon.